Website ‘WOW’ factor! We’ve been considering what makes your website stand out. 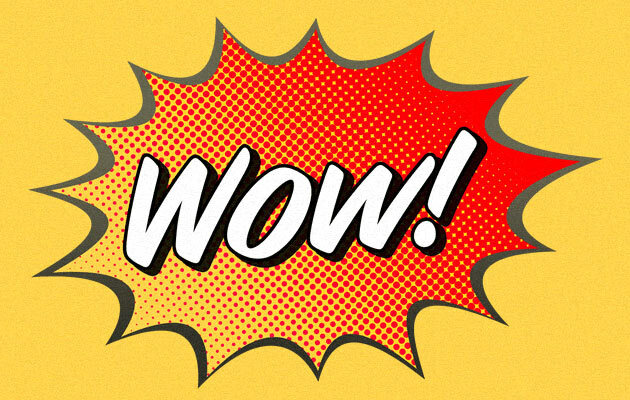 I was recently asked by an exciting potential new client about what we would do to give their site a ‘wow’ factor! The question threw up quite an interesting discussion as to how people perceive websites and what might impress one client and their customers, might be completely different for the next. If indeed there is a ‘wow’ to be found (not forgetting everyone is impressed by different things, and taking into account the old ‘you can’t please all of the people all the time’ line) then we need to identitfy it. There are surely two different ‘wow’ perceptions when it comes to how a website functions; the user’s wows and the business wows by how their site is performing. We might design a fantastic product finder tool for the likes of Pearson Engineering or an interactive design piece for telling the Story Difference for Cumbrian based Story Homes. Both of these might wow their users and customers, but the wow for each business might come in the form of new enquiries or increased sales. For us, the key to finding these stand out performance drivers can be discovered as part of our process of detailed planning and specification writing to understand customer journey and site conversion goals. Your customer journey(s) and conversion goals are key items for us to understand if your website is going to be a success. It’s only when we understand what these are, can we look at how the site is going to deliver, for both better user experience and gaining results – and how we achieve this in the most engaging way. It’s difficult to define one feature of a site that will produce that wow-factor, but rather it will likely be a combination of all of the work we will put into the project through the design and build process to produce a feature rich, visually impactful, functional website that hugely improves user experience and user conversion to help grow your business. At the end of the day the new site needs to be marketing/selling tool for your business, and by working with you to create something that looks great and delivers results is for us what gives it the wow-factor. Having a site that sets you well apart from your peers – something we aim to achieve with every client. Do you feel your website is wowing your audience? We’d love to have a chat with you about how we can make sure your website is performing to the best of its ability. Why not get in touch?